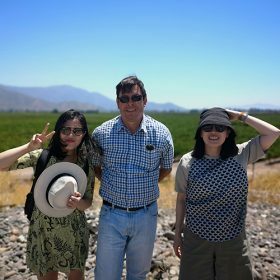 In the middle of January we received two important visits from South Korea; it was the sommelier Minjoo Kim, and the specialized journalist Suzie Chung, who went to our emblematic field in Isla de Maipo. There they saw the Maipo river, that adjoins it and they were impressed by the microclimate that is formed thanks to the cold winds that come down from the mountain range through the Maipo basin. 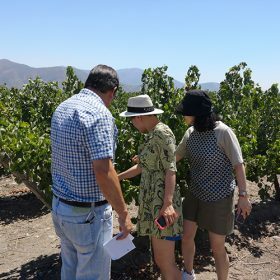 They also tasted our best wines with our winemaker, Diego Swinburn, being surprised by the complexity of our Red Blend and Icon, and the Carmenère personality. 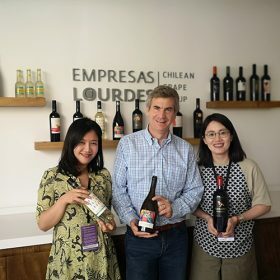 Both were impressed by our quality and recognized to be willing to pay some USD23 ($15.000) for one of our Reserva, which here are worth about $4.500.